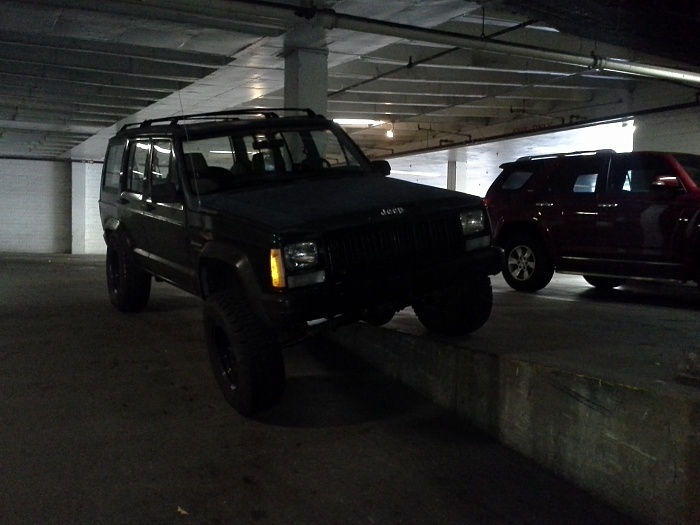 so when i was in the PNW, we had a thread like this, and i thought it was neat to be able to see what everyone does to their xj. so i would like to start one here. im hoping this kicks off. so what i did to mine today, was sit and stare at it, and hope that it doesnt hate me. as soon as the storms pass i plan on adding some oil and seeing how the motor sounds. i need to clean the stuff out of it as well, seeing as how it was my trailer on my trip. lol. Finished the 3" lift, sterring stablizer and now at the shop gettin it aligned. Hopefully I don't have the deatn qobble after alignment! as long as all ball joints and rod ends are good you should. but if you still do check the lower bolt on the trackbar. that one got me. but i run 35x13.50s so my death wobble is alot easier to notice, when i have it. so i threw some oil in it, and knock stopped. but when i gave it gas, it threw the rod through the block. bad day. have one of these threads already. yeah, i know that dude. maybe if you read the first post i made. that thread is in the pnw region. this is south central. lol its cool man. were all friends here. Well, it had a little wobble after alignment. Not bad tho. I did notice later today that my track bar wasn't tightened all the way at the axle end. That was a palm to forehead moment. Tightened that up and small wobble is still there. Was there b4 the lift, so don't think it's tire out of ballance. But never know til I ballance them. The back still sits a little low. Might have to get some small lift blocks or shackels. shackles, not blocks. heard some horror stories about blocks. I did this about 2 weeks ago and nothing since. Would blocks be okay tho if I don't do any major wheeling? 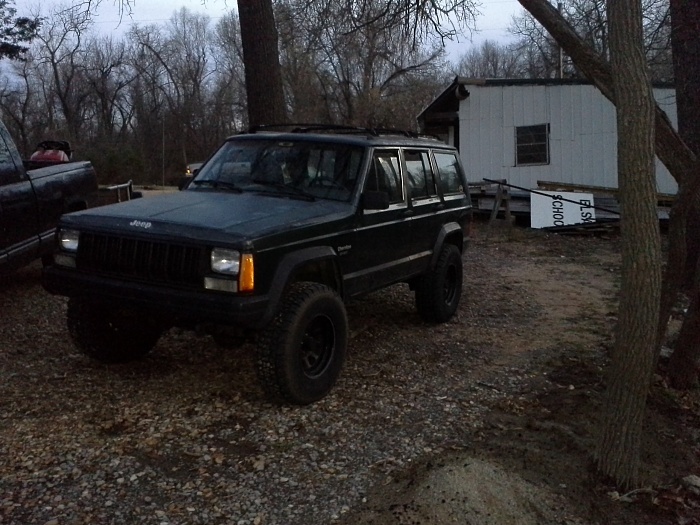 It is my daily driver, so the most 4 wheelin I will do is on snow/ ice or deer hunting. I did this today. Think I'm gunna go with shackles over blocks. Quick Reply: what did you do to your xj today?